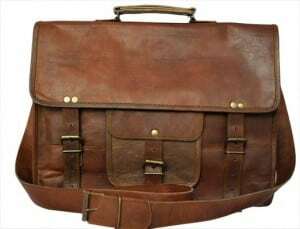 Amazon’s deal of the day today is a brown genuine leather laptop bag! This bag typically retails for $199, but today it is on sale for $69! This laptop bag is perfect for school or the office. There is plenty of space for your laptop and other necessities. It makes a great gift for a family member or a friend (or for yourself!) This Amazon deal is only availability today, so don’t miss out! 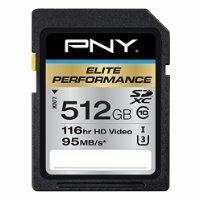 Today’s Amazon deal of the day is up to 50% off various PNY storage devices (such as SD cards and USB flash drives). For example, you can purchase a 32 GB high speed flash card for $12.99 today, and it typically sells for $19.99. Or, you could purchase a 16 GB flash drive for $4.99 and it typically sells for $35.00! That is an incredible discount. Don’t miss out on this awesome Amazon deal of the day! Today only, you can take advantage of this Amazon Deal of the Day on Slingbox products for special savings. Slingbox allows you to take your TV anywhere with you. And, today, you can purchase a Slingbox for just $69.99 using the offer! 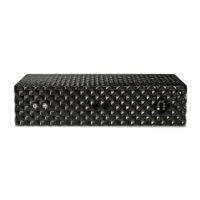 Slingbox usually sells for $179.99. That is a 61% savings! With Slingbox, you can watch your cable/satellite TV subscription on vacation or on a TV in your bedroom (or basement) all without any extra monthly fees. 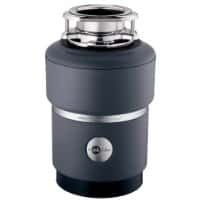 Check out today’s Amazon Deal of the Day on the InSinkErator Garbage Disposer. With SoundSeal and MultiGrind technology, this incredible garbage disposer promises to grind even the most difficult foods. It is at least 30% quieter than other standard disposers. It even has a quick-lock sink mount for easy installation and includes a 4-year in-home warranty on parts and labor. This disposer typically costs close to $400. Today only, it is on Amazon’s special sale at just $138.90. The savings here come out at just over 60% off! If you’re in the market for a garbage disposer, now is the time to do it! You should check out the Amazon deal of the day on Schlage FE595 Camelot keypad flex locks today. Like all Amazon DoD, this deal only runs through today. The Schlage keypad provides customizable key-less access to fit your home security needs. It’s great for exterior, side or garage entry doors. This keypad also provides homeowners with the ability to switch from automatic relocking to unlocked. Today only, Amazon is selling the lock at just $85.99 (or 69% off the regular price)! 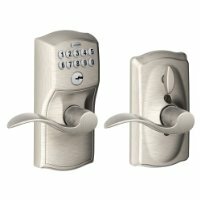 Other Schlage keypads are selling at reduced prices as well. You can check out their deals here.